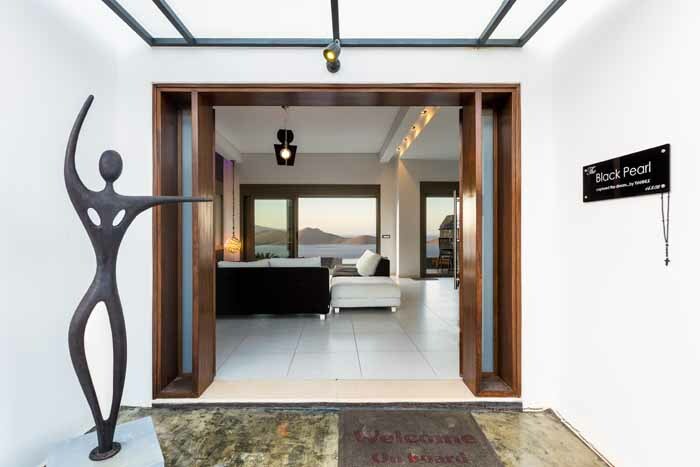 Villa Black Pearl has a 215sqm interior area and is set on two levels. 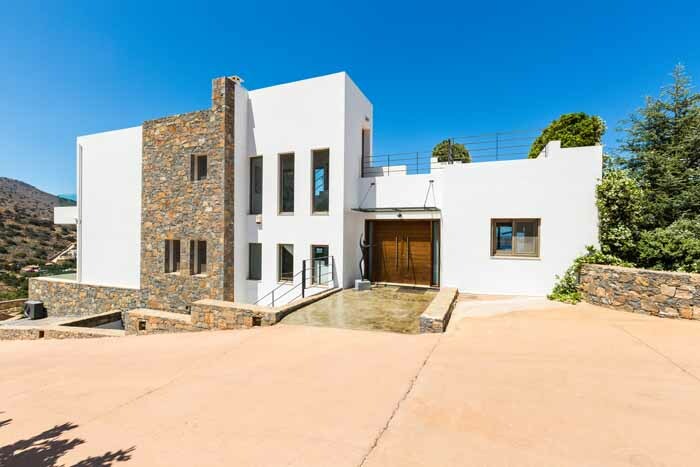 On the upper floor there is a master bedroom loft with a Jacuzzi bathroom and dressing room and two more bedrooms with a sharing bathroom. 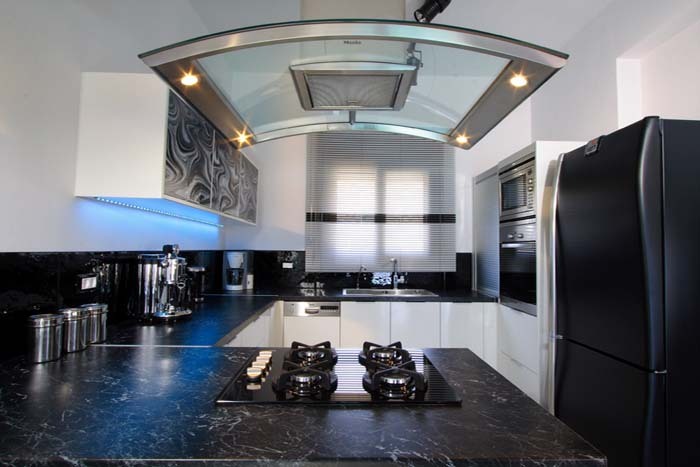 The kitchen which is designed with chrome and black steel, is fully equipped. 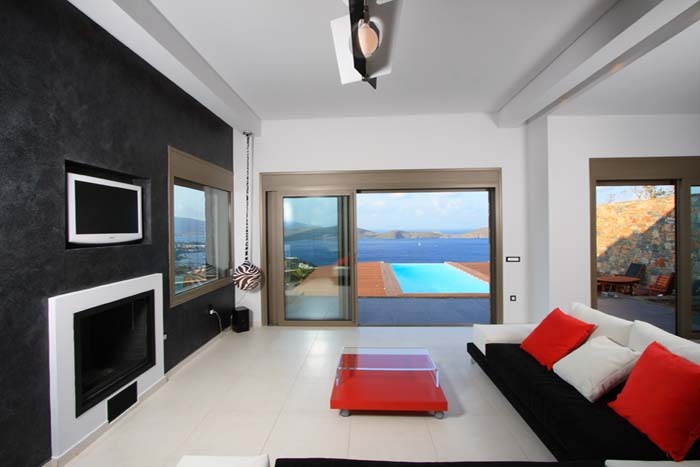 Next to it there is a spacious living room and dining area with a a fireplace. 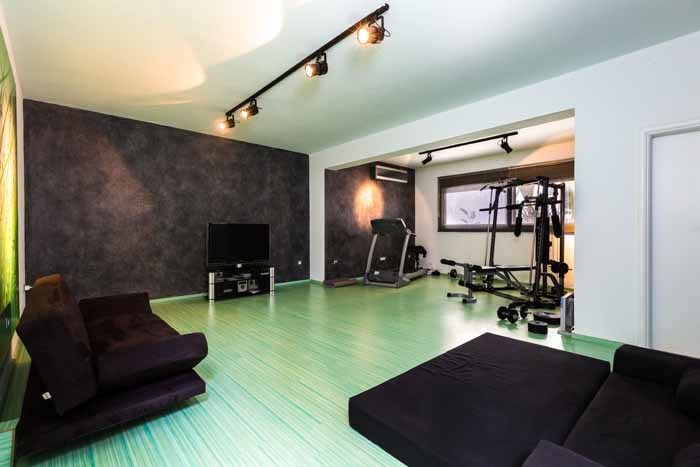 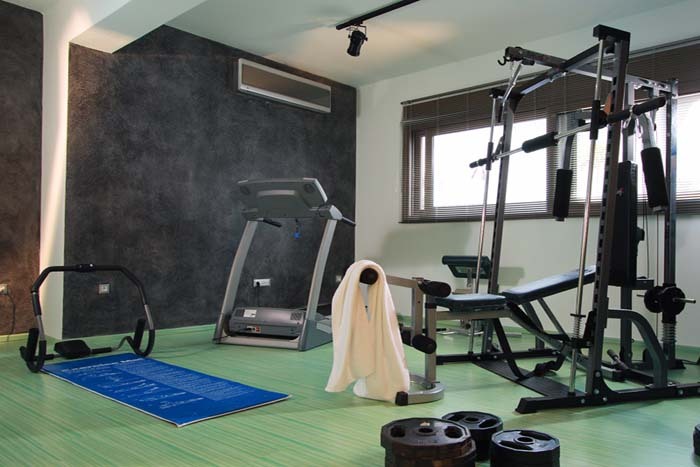 On the ground level there is a game room with private a gym and video projector with digital games. 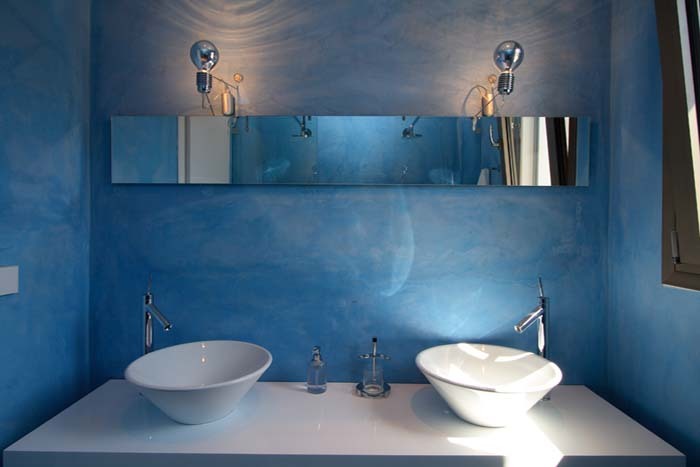 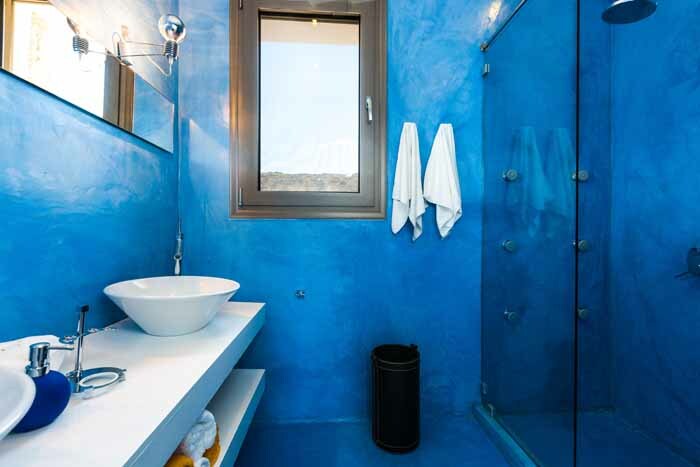 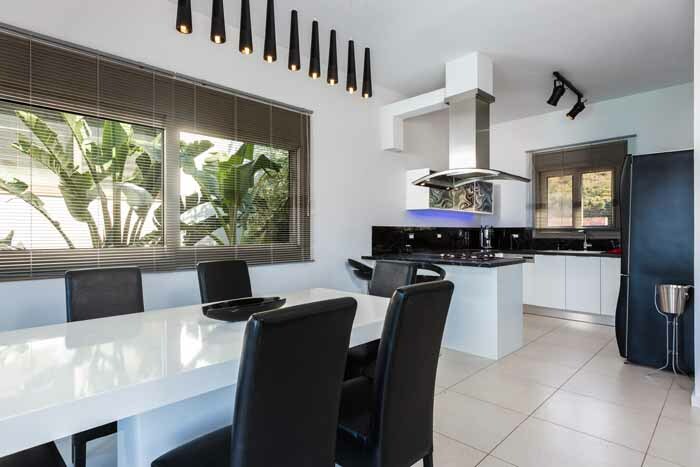 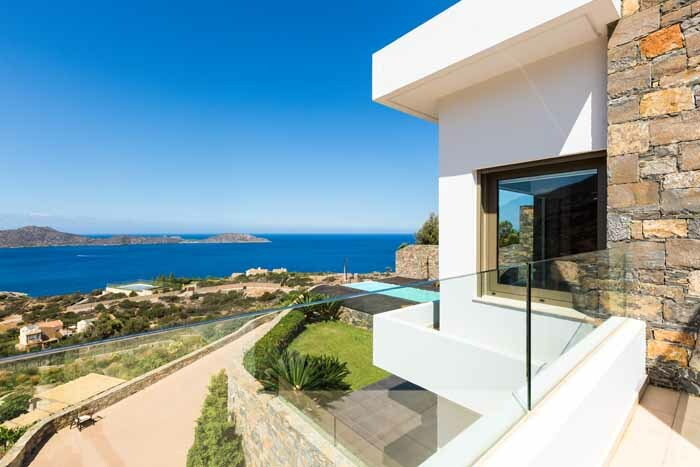 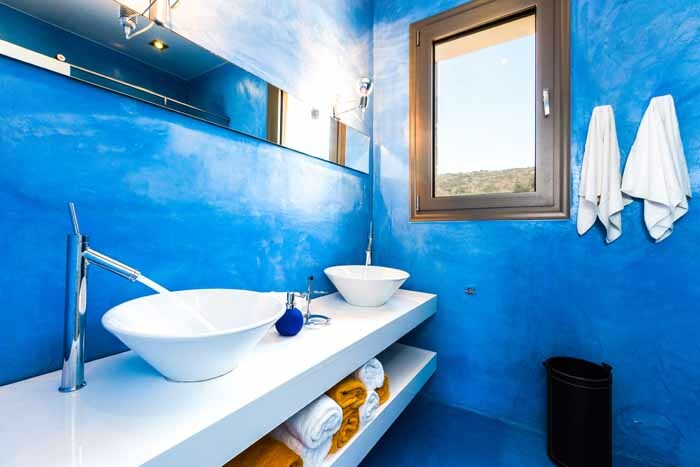 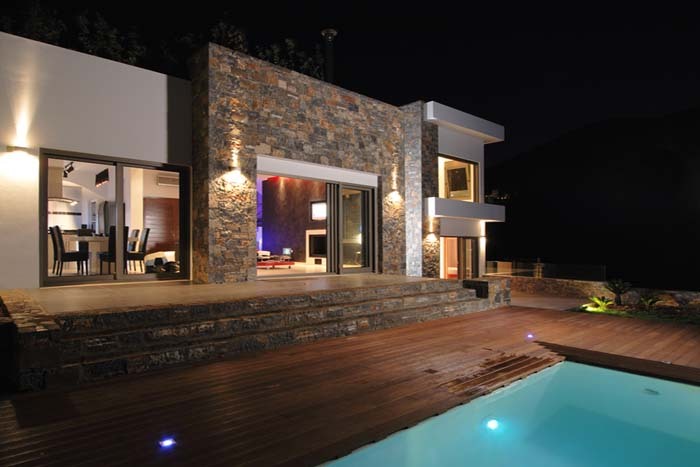 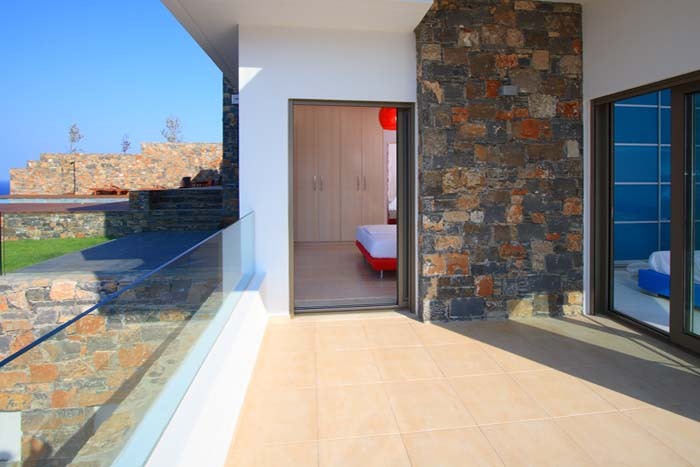 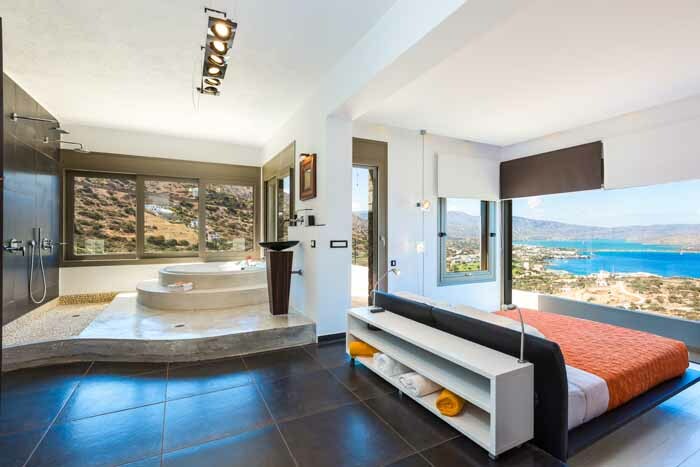 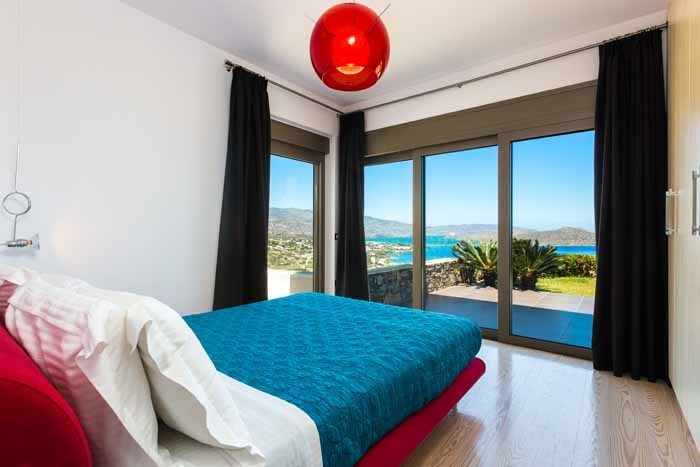 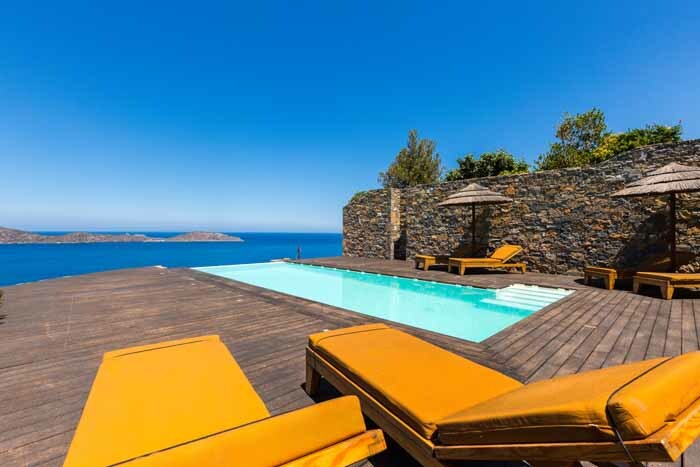 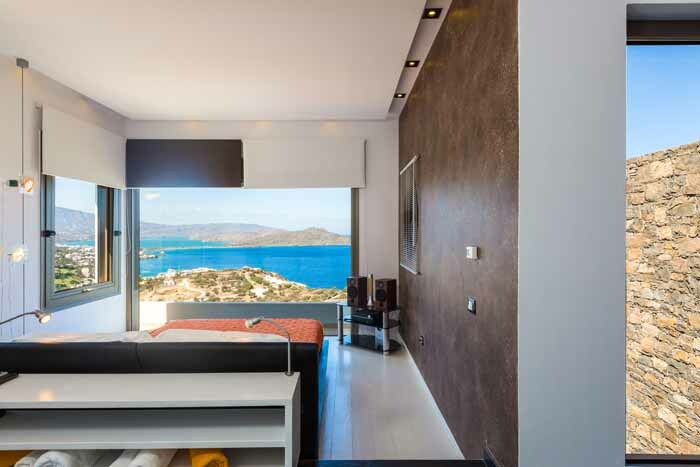 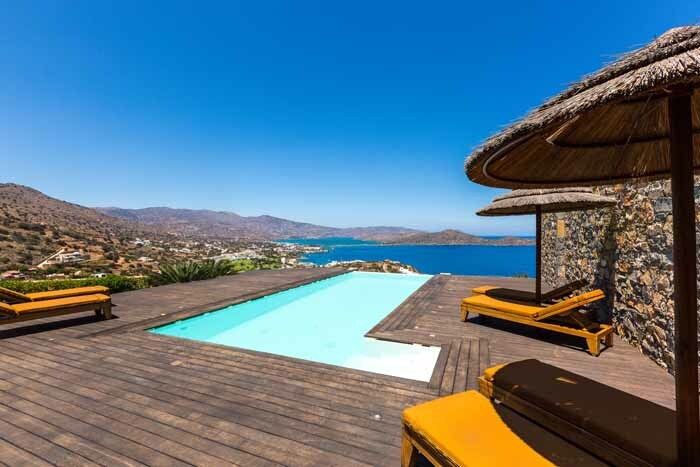 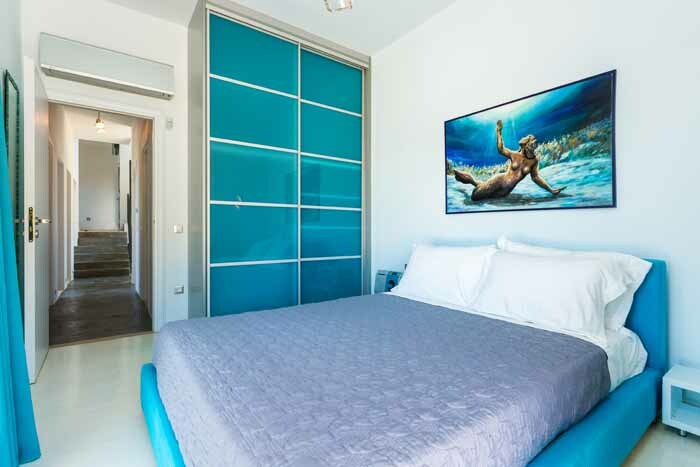 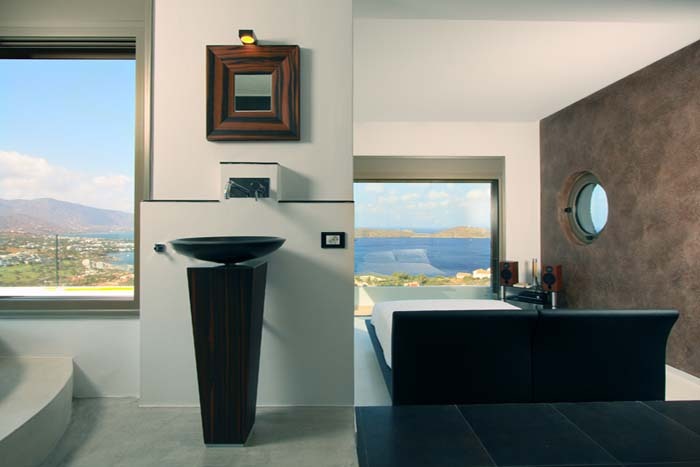 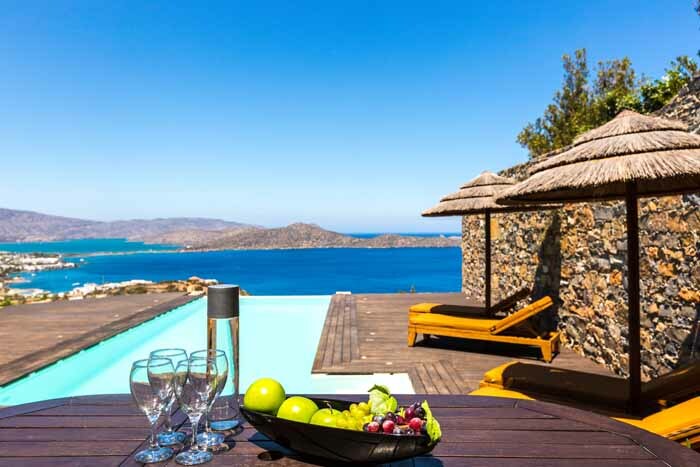 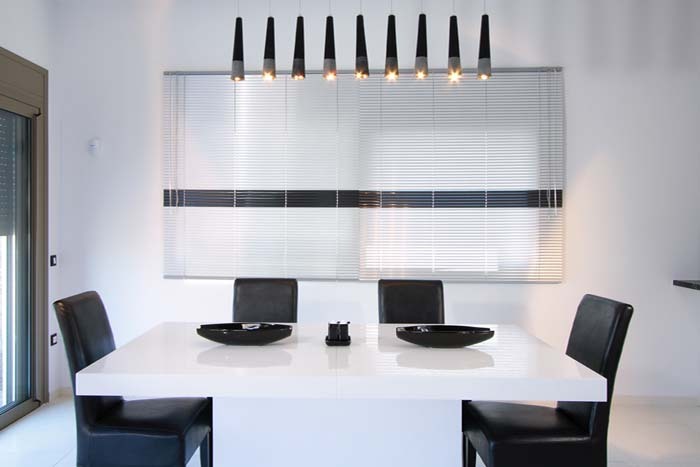 The villa is decorated in a minimalist style and is is ideal for 4-6 people. 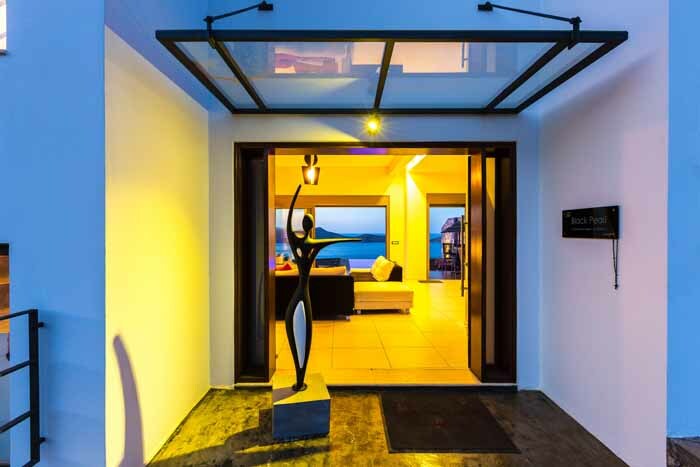 The outdoor areas of Villa Black Pearl are created having in mind to respect nature and the environment. 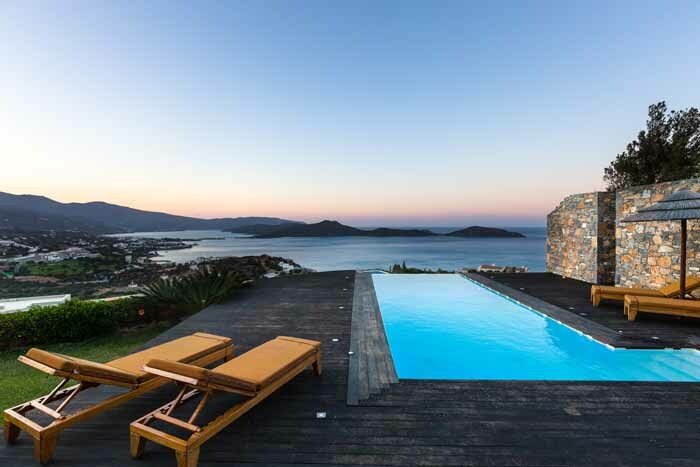 There is a private infinity swimming pool which offers a panoramic view of the landscape and a sun terrace on the pool level. 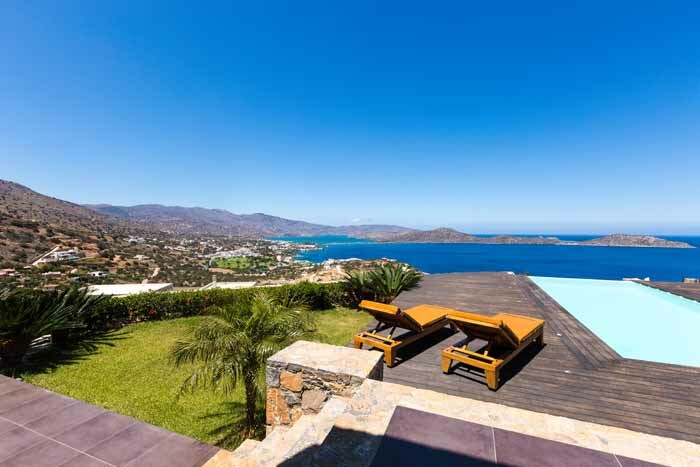 The villa also has an outdoor dining table, sun beds, umbrellas and a lawn garden with local trees.